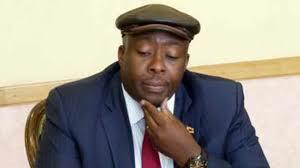 Former Local Government Minister Saviour Kasukuwere has lost his appeal to stay the proceedings in his trial on charges of criminal abuse of office, pending a review of the same proceedings at the High Court. Kasukuwere had sought the intervention of the High Court, accusing regional magistrate Mr Hoseah Mujaya of being biased in the manner he was handling his case. The former minister also challenged the status of prosecutors falling under the Special Anti-Corruption Unit (SACU) in the Office of the President and Cabinet. But Justice Neville Munyaniso Wamambo ruled that the prosecutors from the SACU were delegated with prosecutorial functions in terms of the law, just like their colleagues in the National Prosecuting Authority. Mr Zivanai Macharaga was the prosecutor. Justice Wamambo ruled that there was nothing to show that prosecutors from SACU were barred from prosecuting cases. He noted that the apex court was still to make a ruling on the challenge filed by Kasukuwere. “On this issue, I find the fact that the second respondent (Mr Macharaga) is officially delegated authority to prosecute by the Prosecutor-General is suggestive that there are no prospects of success on this point,” he said. Justice Wamambo considered the alleged infringement of Kasukuwere’s fundamental rights of particularly allegations of bias on the part of the presiding magistrates, among others. From the findings he made in the matter, Justice Wamambo was satisfied that the contention too fell by the way side. “After considering the application for review and the prospects of success, I find that there are slim prospects of success on review,” he ruled. Kasukuwere, who was being represented by Advocate Thembinkosi Magwaliba instructed by Mr Charles Chinyama, wanted the higher court to review the Mujaya ruling in which he threw out the politician’s application for exception to the criminal charges. Kasukuwere said Mr Mujaya failed to properly consider his application in which he was seeking to be absolved from any wrongdoing, arguing that the charges preferred against him did not disclose any offence and that his actions were a bona fide exercise of administrative power and authority. He further said Mr Mujaya spent a large portion of his ruling addressing the sufficiency or otherwise of the notice given to the State and mischaracterised the arguments made by his lawyer.